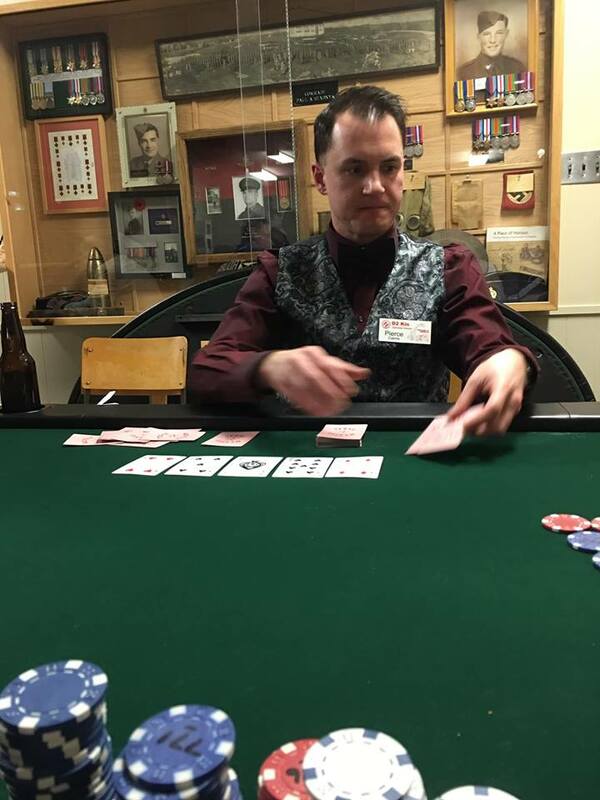 On Saturday, January 19, The Grandview Kinsmen held a charity Casino and Poker Night. Approximately 75 people were in attendance, including Governor Tim and Vice Governor Kevin, as well as a delegation of other Kinsmen from The Pas. 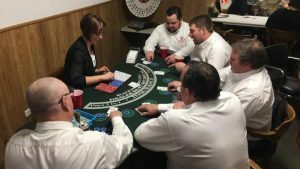 The event itself consisted of table and wheel games rented from CB Casino Rentals in Brandon. This included blackjack, roulette, some wheel games and card games. “Casino Bucks” were purchased at the door, and later exchanged for raffle tickets that could be used towards various prizes. 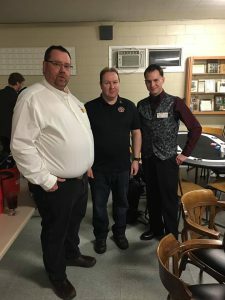 In addition to the casino games, there was also a cash Texas Hold’ Em tournament with the first place winner earning $1500, and proceeds from that tournament were donated to the Legion Ladies Auxilliary. Throughout the night, there were also appetizers and snacks served, the highlight of which were perogy shooters, which were eagerly devoured. While this event is technically a fundraiser, its real purpose is to provide the community with a social event in the dead of winter, and a change to raise the profile of the Kinsmen in their community. With a delegation from Yorkton attending last year and Flin Flon and The Pas this year, it also is a great way to promote interclub fellowship, a chance to meet members of our district and support each others’ projects. As the Casino Night was well received again this year, we look forward to a potential 3rd annual event next winter!